Carles Riart and Mobles 114. 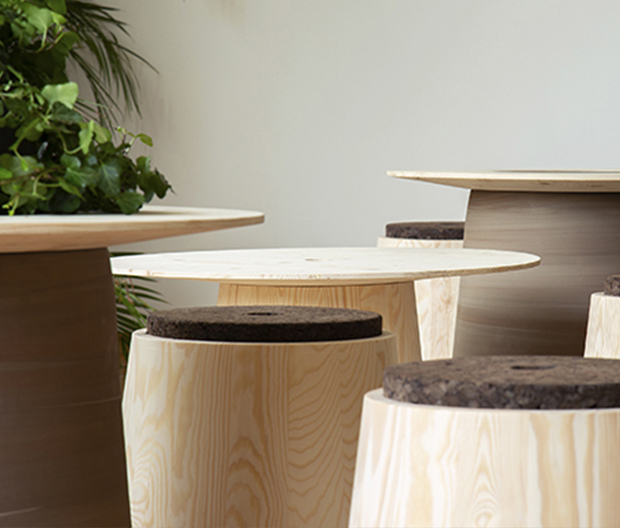 Ona is the one design by Carles Riart which is actually kept at Mobles 114 catalog. 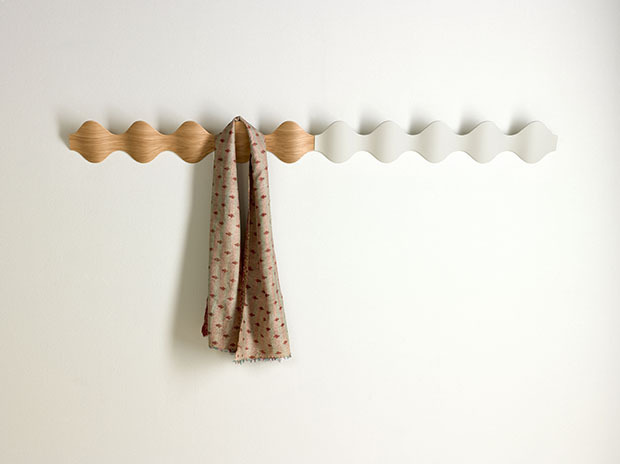 a lineal coat rack made out of wood whose design results from a formal juxtaposition of waves and a sloping plane. Its almost sculptural ornamental value, professional re-nown and commercial success have afforded it emblematic status in the history of Spanish design. 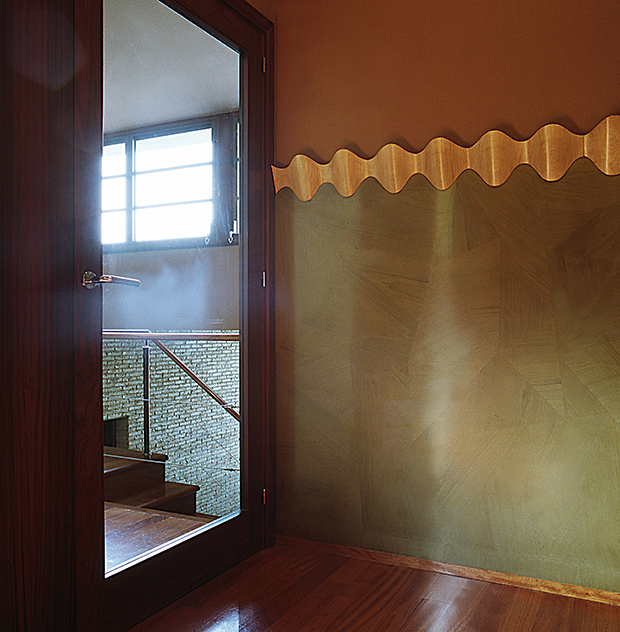 The Ona coat rack was designed by Montse Padrós and Carles Riart to furnish Pedreño’s house in Barcelona. Riart designed more than fifteen pieces of furniture, lights and objects, for Pedreño’s house, from1987 to 1991. 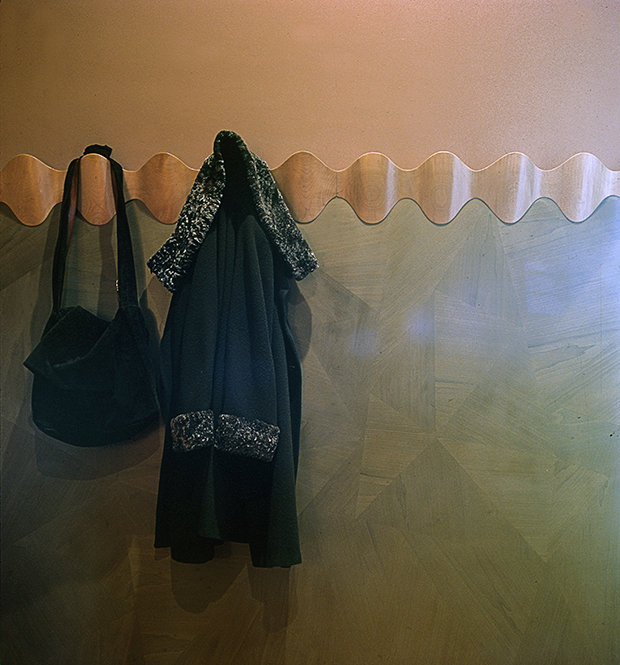 The Ona coat rack was designed in 1989 and was handcrafted with one solid piece of maple wood. This coat rack was designed and manufactured at the same time. There were no previous sketches. Carles Rairt gave instructions to the carpenter. The only thing that he had to decide was the rhythm of the waves, depending on the angle in which it should be cut from a board which had been cut with one initial vertical undulating cut. Riart is capable of creating, without sketches and to make that process part of the objects poetry. 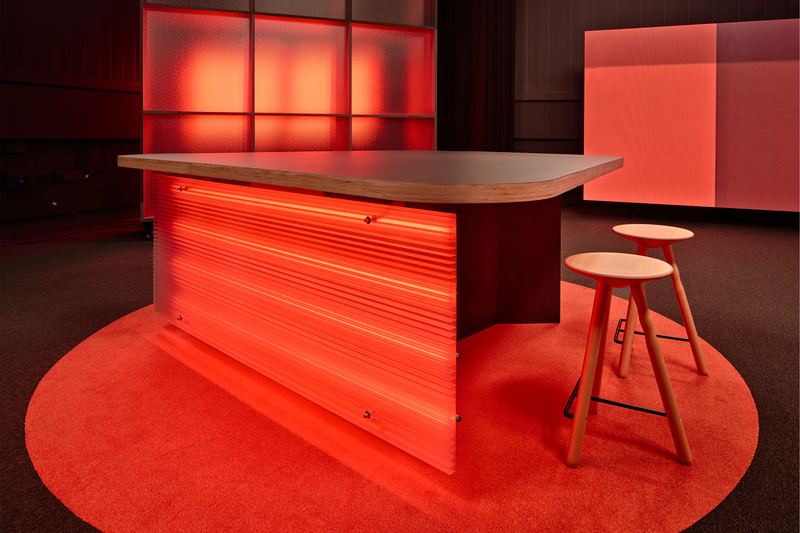 The result is an object with a specific function, that becomes an almost magical creative and manufacturing process. JM Massana & JM Tremoleda were astonished when they saw this coat rack in a Carles Riart Mobles Casas exhibition and they decided to include it in the Mobles 114 collection. They looked for a way to produce it in an industrial way which led them to finally produce the coat rack in plywood. It has been part of the Mobles 114 catalogue since 1991. It is also part of the permanent MoMa’s collection and has been awarded with the ‘Delta d’Or’ in 1992. We are now celebrating the 25th anniversary.